Bring down the house! 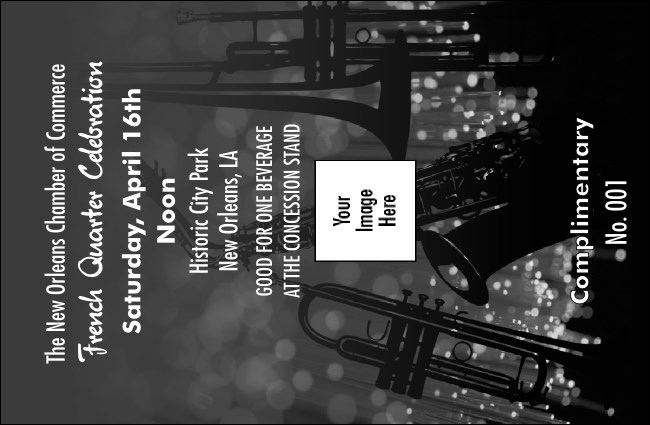 The black and white Jazz Concert Drink Ticket features the dramatic silhouette of brass instruments against the backdrop of sparkling lights and summons the spirit of the music. Get your guests in the groove when you sell drinks ahead of time with this reasonably priced, high quality ticket. Let the drinks flow like smooth jazz! Consider a matching Event Kit through TicketPrinting.com.